Jeanette with her daughter Sabline in front their pig stable. Before encountering FH in 2017, Jeannette was just another teenage student in high school in Busekera, Rwanda. But due to an unplanned pregnancy, she dropped out before she ever finished. Because of her situation, her relatives rejected her and she lost all hope. Still, Jeannette carried her baby to term and delivered a beautiful little girl—Sabline. While she was going through the shame and hardship of nurturing a baby as a single, teenage mother in a rural village, Jeanette became pregnant with a second child. She left her family home for the duration of the pregnancy, then returned after she had delivered another sweet girl—Ineza. When Jeanette first encountered an FH staff member, she felt her situation was hopeless. “I tried to commit suicide two times,” Jeanette explains. After all this, Jeanette began to make different decisions to change the course of her future. While her two daughters, Sabline and Ineza, were very young, Jeannette tried to eat local food readily available in her community, like matoke (mashed plantains), green vegetables, potatoes, sweet potatoes, maize, and beans, but it was really hard for her to afford this food. As community members went through the process of reviewing vulnerable families to decide who would benefit most from receiving livestock from FH, Jeanette was not among those selected. The leaders making the decisions felt that she was not responsible enough to care for an animal. 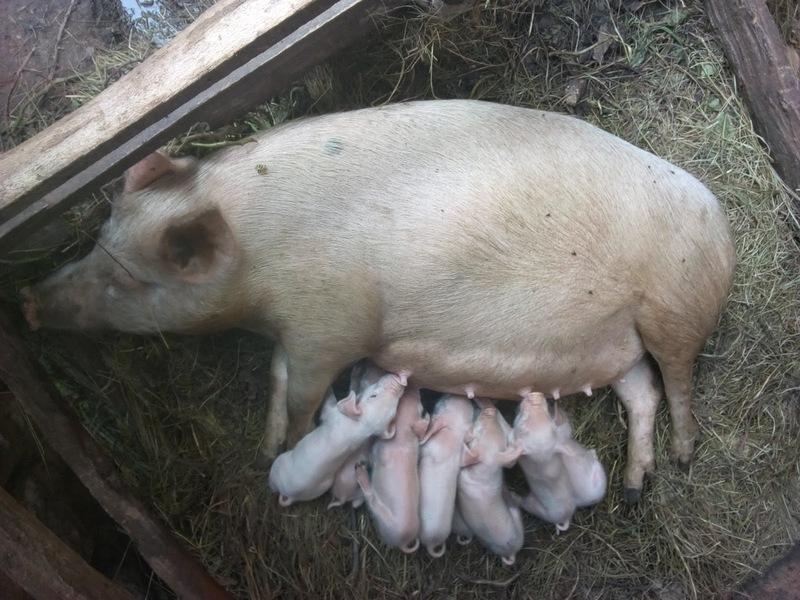 Jeanette's pig and little piglets! However, FH staff who knew Jeannette’s case advocated for her, and she was finally given a pig. After getting the pig and animal care training from FH, Jeannette took good care of her new livestock. It gave birth to eight little piglets last September. “If it hadn’t been for FH’s intervention, I couldn’t have hope for the future!” exclaims Jeanette. Her pig will help to raise her income which will improve her living conditions. 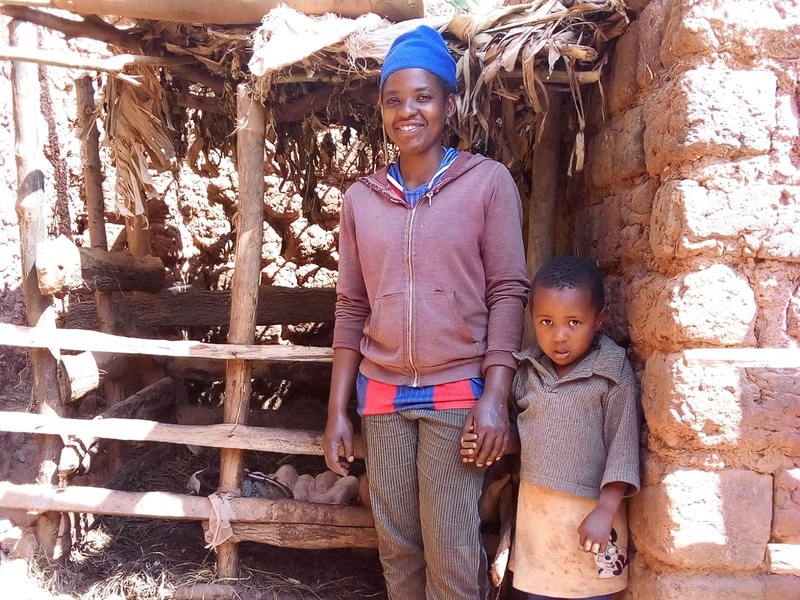 Jeanette now has a way to begin earning money and providing more food for her children. When these piglets grow up, she’ll also be able to afford health insurance for her daughters. It wasn’t easy for Jeannette to take care of Sabline and Ineza alone as a single mother. But today, she is full of hope and growing in self-confidence.